For Annie Goodwin, who trains eventing, dressage, and showjumping horses, the relationship you build with your horse is the most important thing. "You have to have the utmost respect for your horse," she says. "It's not necessarily that I love one discipline over the other; I love each of them. I love them for the relationship with the horse. When you go out on the cross country course, you have to trust your horses just as much as they trust you. When you come off cross country and think about what you've just done, you realize it's pretty incredible to have that relationship with a horse, to get them to trust you so much that they do the things you asked them do to. That is the most rewarding feeling to me. But honestly, I can get the same feeling after riding a dressage test." Annie Goodwin, who is 27, owns and runs Rafter Y South, a 33-acre training farm on Aiken's Southside. Set far back from the road and surrounded by trees, the facility provides an ideal environment for horses in training. It has a comfortable barn with roomy stalls, several grassy paddocks with run-in sheds, an outdoor jumping area and a covered dressage arena. Annie purchased the facility (formerly Xanadu dressage) at the beginning of the summer of 2016 and has been working ever since to adapt it to her needs. She put a trotting track around the perimeter of the property and a gallop path through one of the fields and up a hill ("It's really cool, because there are not a lot of places in Aiken with hills, so that's great for my horses.") She is currently planning to build some cross country obstacles for schooling, as well as a second barn and a house. Although Annie is new to owning her own business, she has been deeply involved in the horse world almost from the moment she was born. Her mother, Tina Goodwin, was formerly a steeplechase jockey and professional event rider. Her father, Putter Goodwin, is an all-around horseman, cowboy and former polo player. Annie started riding when she was very young at Rafter Y Ranch, her family's 1,000-acre property in Banner, Wyoming, just outside of Sheridan. When Annie was still in preschool, her parents divorced, and her mother began to pursue an eventing career in earnest. When Annie was about 5, they moved to Southern Pines in North Carolina, where Tina worked for the upper level eventer David O'Brien and trained with Jack Le Goff, a former coach of the U.S. and Canadian Olympic teams and a member of the United States Eventing Hall of Fame. From there, they went to British Columbia, where, for two years, Tina continued to ride and train with some of the best eventers in Canada. "I had my own horse all this time," says Annie. "I was very young, but I was riding and living the dream, following in my mother's footsteps." But then, her mother had a devastating accident on the cross-country course, breaking her neck and ending her riding career. While her mother started on the long road to recovery, Annie moved back to live with her father in Wyoming. "I saw the accident," she says. "I didn't want to have much to do with riding afterwards." But she lived on the ranch, surrounded by horses, mountains and the spectacular open range. From mid-June to the end of August, the ranch was opened to guests who came from all over the country to spend time enjoying the outdoors. Rafter Y could accommodate 20 guests, and most of the time it was completely booked, often with families. They would go on daily rides escorted by Putter or one of the people who worked for the family, and Annie often rode along. They went through cattle pastures and into the hills where they startled herds of wild antelope, sometimes taking day-long excursions. Annie's fear gradually disappeared. "My dad never put any pressure on me to ride," says Annie. "He didn't force me back into it in any way." Throughout middle school and into her high school years, Annie, who describes herself as "super competitive" focused her energies on other sports: soccer, basketball and volleyball. She is from an athletic family (her grandfather was the longtime coach of the Stanford University golf team: he recruited and coached Tiger Woods) and she was good. When she started seeing other kids her own age competing in equestrian events, she caught the riding bug again. Soon, she took up barrel racing and whenever the local shows had English riding classes, she competed in them, too. Once she was back on a horse, riding began to take up more of her time. She rode and played various sports at her boarding school, and when she came home for the summers, horses took center stage. She groomed polo games at the Big Horn Polo Club, both for her father and for other players, and she rode every day on the ranch, by herself, with her father or with guests. "Being an only child, each family that came in I became a part of," she says. "It was fun for me. I wuld immerse myself in these other families. I also learned, from a very young age, how to be a gracious host." In her senior year of high school, she gave up volleyball to focus on riding. The school she was attending had an excellent riding program, and it brought her back into the eventing world. For her 18th birthday, her father gave her a horse: Nike, an off the track thoroughbred that was too big for his polo string. Although soundness issues limited Nike's potential, he was a project for Annie, and one that taught her a lot about horses and about herself. "I realized how much I really enjoyed working with young horses," she says. "I attribute a lot of my success with young horses to my dad: I learned a lot from him about patience and about natural horsemanship. 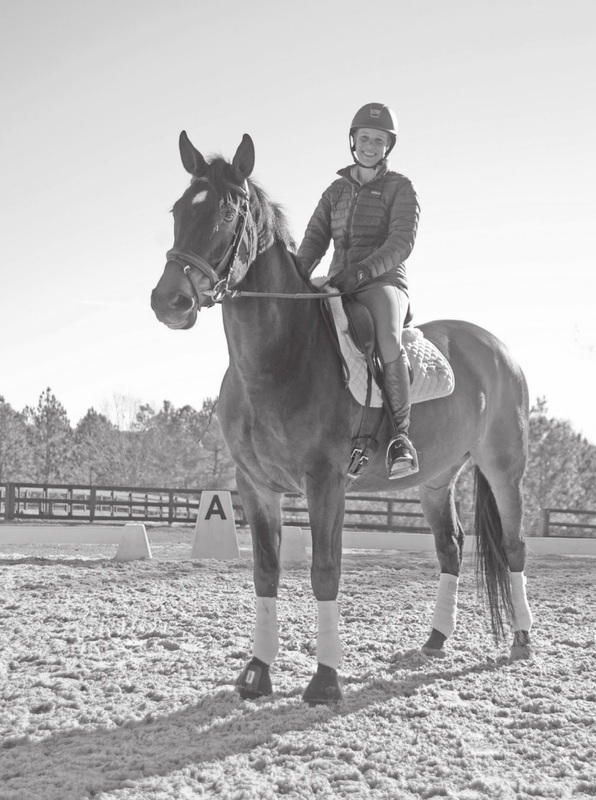 Annie went to college in Arizona for two years, but all she wanted to do was ride and train horses, so she left after her sophomore year to become a working student for Elizabeth Iorio, an eventing rider who was training at Full Gallop Farm in Aiken. "And that is how I started out on my journey,"she says. That journey brought her back to the heart of upper level eventing and exposed her to some of the top talents in the business. While in Aiken, she met Kadi Eykamp, a 4-star eventer, trainer and coach based in Dallas and ended up working for her. Annie had her own two horses at the time, and she had the opportunity to compete at lower levels herself and groom for Kadi at some of the most prestigious events in the world, including Rolex. "I thought this was where I wanted to be," she says. Then, she took a job with Will Coleman just after he returned from competing for the U.S. at the London Olympics in 2012. "That was where my riding grew the most," she says. "I was given the opportunity to ride lots of different horses and to be in the ring every day with phenomenal riders. I'm a very visual learner I learned so much. Will definitely respected that about me: he knew he didn't have to teach me every day." After a few years with Will, who splits his time between Aiken and Virginia, Annie came back to Aiken full time, taking a job riding showjumpers for Daniel and Cathy Geitner. "Showjumping was definitely my weakest discipline, but I learned so much there," she says. "The job was a lot of individual reflecting: you had to figure out how to ride each horse to make it more successful. It was a lot of really good miles for me and it gave me more confidence in the ring." While working for these other trainers, Annie also had her own horses to bring along, including Bruno (Fetterman B), a Dutch Warmblood that she imported from Holland as an un-backed 3-year-old in 2013. Although she had no definite plans for when she would start her own business, by the beginning of 2016, she knew she was coming to a point in her career where it was time to do something different, to make some kind of larger investment in herself. Last spring she saw an advertisement for a farm for sale in Aiken, and something about it spoke to her. On a whim, she called her father for his advice: he surprised her by telling her to take a look at it. She did, and she fell in love. By June, the farm was hers. 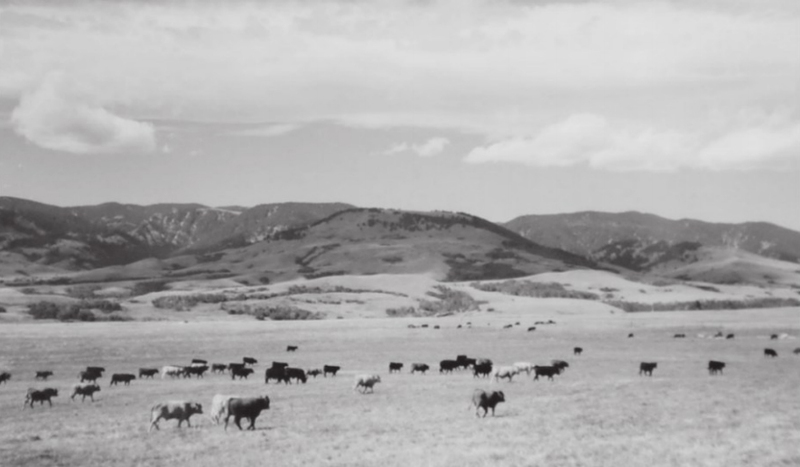 By this time, Rafter Y Ranch in Wyoming had been sold. It had been in the Goodwin family for five generations, but no one in the youngest generation really wanted to live there. When the opportunity to pass it along to someone who would appreciate it presented itself, selling was the only logical answer. So when Annie took possession of the former Xanadu dressage, it naturally became Rafter Y South, a tribute to the place where she grew up and where she learned, and re-learned, to love horses. Today, Annie is busy riding and training. She is coming off a successful competitive season: Bruno, now 6, has proven himself a phenomenal jumper, and moved up this year to compete, and win, at the Preliminary Level. She has another horse, Giselle, who is 5 and not far behind. Her goal for the spring is to take Bruno to the one-star level and to compete at the Bromont CCI*. She has some off-the-track thoroughbreds that she is hoping to debut at schooling events over the winter. She also has two talented young dressage horses who are ready to enter the show ring this year. "I'll be working towards my medals and pursuing my goals in the sand box as well: she says. Meanwhile, Rafter Y South is quietly gaining its own reputation in Aiken. There are regular dressage clinics given by Gabriel Armando, an FEI judge, trainer and rider who comes up from Florida. Clients have started bringing horses for Annie to train and show. The business is just getting started, but it is nothing if not a solid start, backed up by a lifetime of hard work, passion, and dedication. "I'm really excited to be here," says Annie. "It's a lot to take on, but being as competitive as I am really keeps me going; I never get bored. I'm trying to be as successful as I can be.